FilterEasy.com is an air filter subscription service. Their mission is to help people keep their homes healthy. With just a few clicks of your mouse you will NEVER forget to change your air filter again. FilterEasy.com will deliver fresh, quality air filters to you every 3 months providing you with cleaner air, healthier living, less stress, fewer costs, energy bill savings and a stronger HVAC system. Spring has sprung here in Georgia and with that comes the dreaded pollen. Pretty soon the entire state of Georgia will be turning yellow and the sneezing, watery eyes will start for our entire family. One simple solution to help fight allergies this Spring is to replace your homes air filter! 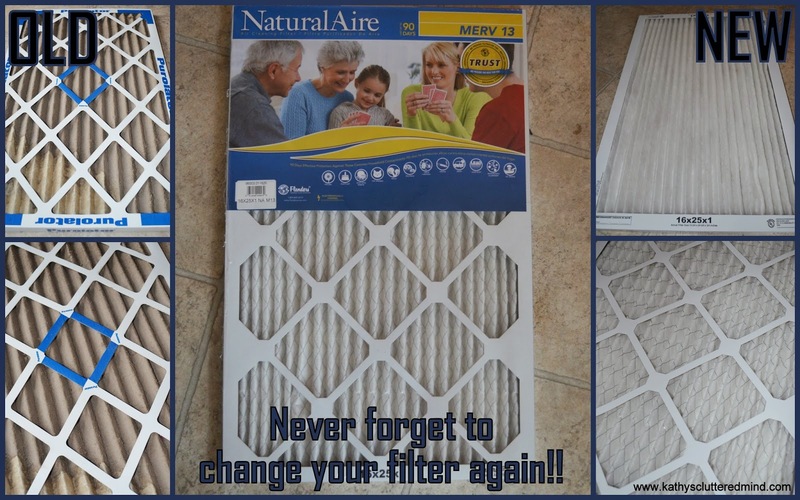 Do you even remember the last time you replaced your homes air filter? Are you a busy family who is looking to simplify home maintenance? Well that is where FilterEasy.com can help. With their easy to use subscription service you can have a high quality, inexpensive air filter delivered to your door in just a few days. Then every 1,2,3 months (you select your interval) another air filter will be charged to your card on file and automatically shipped! There are 3 different air filter grades to choose from: LiteAllergen, MicroAllergen and SuperAllergen. And a wide selection of sizes. FilterEasy.com offers a 100% guarantee so if you order the wrong size, are not pleased for any reason or your filter arrives damaged they will make it right! Because we all suffer from allergies I decided to go with the SuperAllergen filter. This filter has a MERV rating of 13, meaning that it will remove larger amounts of small particles. MERV 13 filters are what hospitals and general care facilities use. With this filter installed pollen, dust, pet dander, mold, bacteria, virus carriers, smoke, smog, etc won't stand a chance. The filter is $19.92 (that's about $7 a month). Did you know? The EPA recommends filters between MERV 8 and MERV 13 be used in schools and that most homes use filters with a MERV 4 or less. After removing our old filter I was shocked at the difference! Even through the dust (our old filter definitely needed replaced) I could tell that our new filter was a much higher quality. It was thinker and sturdier. Did you know? Replacing your air filter regularly can save you 5%-15% on your monthly energy bill? I don't know about you, but I am a busy stay-at-home mom that tends to have way too much going on. And we are a 1 income family. Therefore I am always looking for ways to save money and make our life simpler. Thanks to FilterEasy.com one thing on our home maintenance just got simpler! How do you remember when it is time to change your air conditioning filter's? How often do you change your air conditioning filter? To get started with FilterEasy.com today just click here. After 4 simple clicks your air filter will be on its way! Air filters ranged from $11.92-$19.92. Click the banner below to save $5 off your first order plus get FREE shipping. 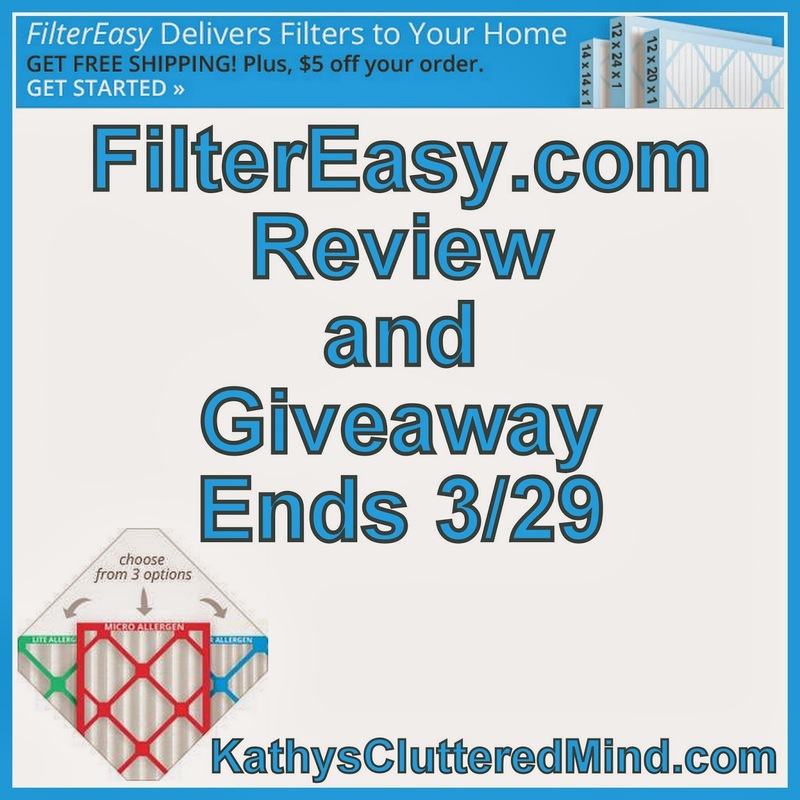 FilterEasy.com has graciously offered to giveaway two filters, so that means there will be 2 lucky winners. All entries are optional, each entry option gives you more chances to win. This giveaway is not affiliated with Facebook in any way. The winner will be posted on the blog and will be emailed. Winner must reply within 48 hrs with their contact information or another winner will be chosen. Prize will be mailed to the winner by FilterEasy.com. I couldn't live without my stand mixer. We change it when we remember ..
Not as often as we should! Probably at least once a year! Need to make it twice a year.